The Quint has completed four years of delivering bold and thought-provoking news, views and interactive content to its readers. With a variety of content across politics, entertainment, fitness & lifestyle, tech & auto and food & travel, The Quint has changed the way digital news is consumed in India. The Quint started off as a Facebook page publishing news in 2015 and since, has grown to approximately 16 million unique monthly visitors, nearly 69% of which comprises millennials, i.e. readers in the age group of 18 to 34 years (source: Google Analytics). The Quint caters to a massive WhatsApp subscriber base of 175K+ readers. The portal has redefined digital storytelling by popularising snackable content formats such as 360 degree videos, elections on mobile, podcasts and interactive stories. Through their social assets, The Quint reaches 100 million users every month. 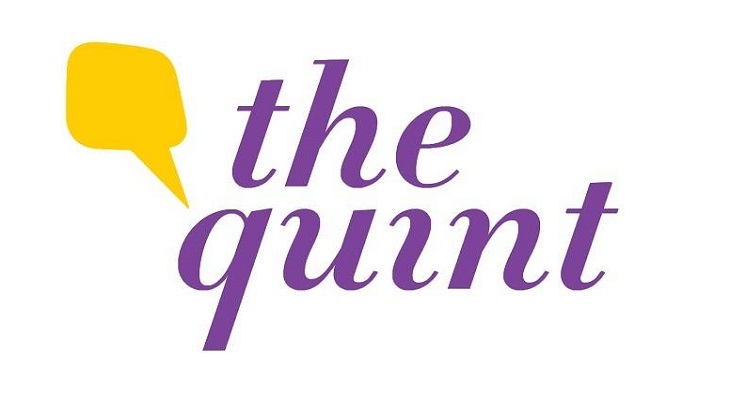 With deep expertise and forte in digital video, The Quint is the largest digital-only publisher on Facebook (Crowdtangle, February 2019 data). Since its inception, The Quint has gone beyond just being a news portal. They have introduced multiple content verticals in keeping with what the audience wants. Quint Hindi has successfully managed to tap into the ever-growing Hindi speaking audience base. Quint Neon manages to get the pulse of millennials just right, and Quint FIT is the one-stop destination for health and fitness lovers. To counter fake news, The Quint launched ‘WebQoof’, a fake news busting service. Their ongoing ‘Me, The Change’ campaign directly speaks to India’s first-time women voters and gives them a platform to put forth their aspirations. In just a span of four years, The Quint has indeed come a long way and created a unique space for itself in the digital news publishing space.